Petition Stand with Texas to protect the Alligator Gar from overharvest. Stand with Texas to protect the Alligator Gar from overharvest. 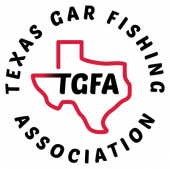 Texas Parks and Wildlife (TPWD) is concerned about potential overharvest of the Alligator Gar(Atractosteus spatula). Recent scientific research suggests that the species’ stronghold could be threatened if stronger harvest regulations are not established to protect Alligator Gar populations.